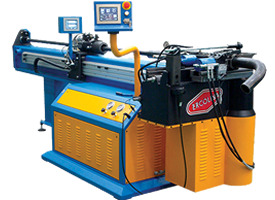 Ercolina | R.J. Kates Co.
CML International S.p.A. is the manufacturer of ERCOLINA® tube, pipe, and profile bending machinery. 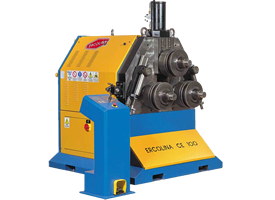 As of 2013 they have forty years leading the tube fabricating industry in machine design and innovation. 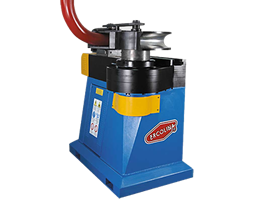 ERCOLINA® machines are designed to provide reliable cost affordable solutions for today’s bending applications and produce repeatable high quality bends. Multiple international patents are the result of CML International’s constant innovation and commitment to our customers. 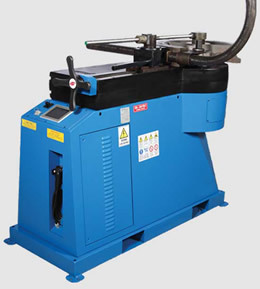 Their comprehensive product line with expanded capacity includes portable, manual and fully automated rotary draw tube & pipe bending machine equipment, NC and CNC tube and pipe mandrel benders, angle rolls, section benders, tube & pipe notchers and ornamental metalworking machinery. 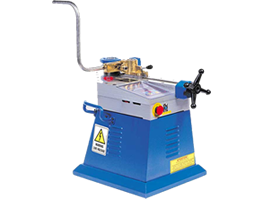 Ercolina also offers a great selection of NC and CNC tube benders with mandrel. 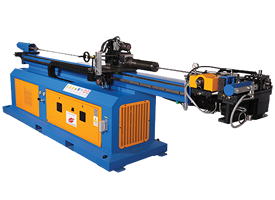 If you are looking for greater efficiency and greater cost-savings, ask us at R.J. Kates about automating your tube, pipe, and profile bending machinery. 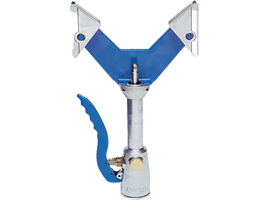 Ercolina products are marketed worldwide through branch offices in Italy, United States, Germany, and Korea providing a network of trained distributors such as R.J. Kates for additional support. Click here for the U.S. web site for Ercolina.